Destroy the Mortar and then the Cannons, be sure to place the Archers in a circle around the mortar. Destroy the bombs with Barbarians. Deploy 15 Archers in a circle around the mortar. Deploy 3 Barbarians at each cannon to set off the bombs. Deploy 15 Archers per cannon. 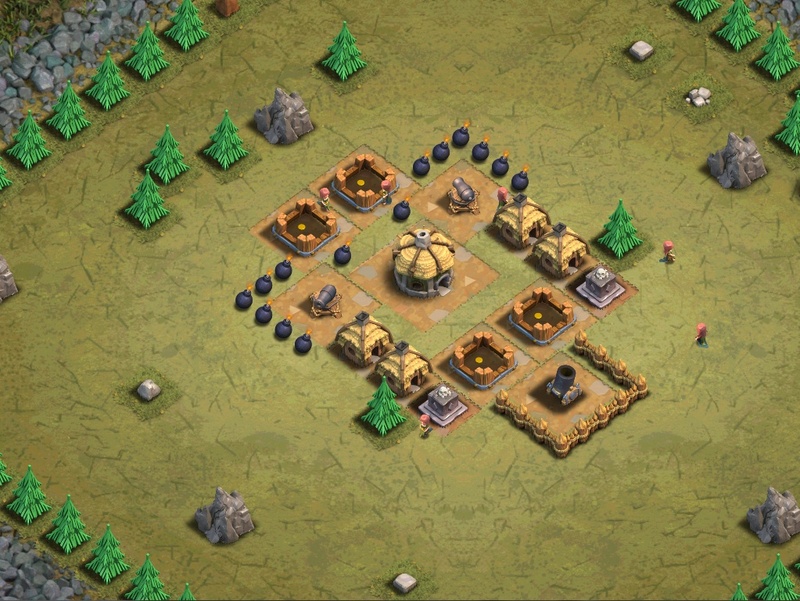 Strategy tells you to place 6 barbarians and 45 archers. Video shows use of 7 barbarians (6 is still fine if placed better.) and 40 archers. You might want to make some corrections on them.